Contrary to what you may think, Turf Teq’s Power Plow does more than just remove snow. It’s a heavy-duty grounds keeping machine that can help you tackle tasks all year long. Winter, Spring, Summer, and Fall—The Power Plow Earns Its Keep! When Mother Nature turns the ground a lovely hue of white, the Power Plow will handle any snowfall – whether it’s light or heavy, if it’s a dusting or up to a foot deep. Whenever you have soil or another substrate that’s uneven, level it quickly with minimal time and effort. 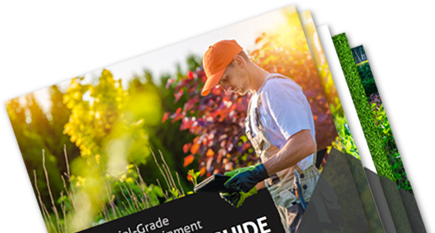 Grade gravel or other materials to create the perfect slope for any application. With the Power Plow’s 46” plow blade, adjustable blade angle and skid shoes, tight turning radius, and the option to fix or oscillate the blade’s position, it offers versatility to enable you to get the results you need under any circumstances. The Turf Teq Power Plow also utilizes an innovative compression spring trip release and a replaceable cutting edge. Your crew will love that all of the controls are at the operator’s position and that it’s equipped with a powerful commercial-grade Honda engine and a variable-speed, hydrostatic transmission with locking differential. It also has a replaceable cutting edge and an innovative compression spring trip release. Another advantage is its self-propelled, walk-forward design, which makes work quicker and easier than when using other plows on the market. Because our Power Plow is available as a multi-use machine or a multi-use plow attachment that works with other Turf Teq multi-use machines, you can do even more with it. By simply switching attachments, it can transform into a Power Rake, Power Broom, Power Edger, or Brush Cutter. No matter what the job, no matter what the season, the Power Plow is capable and ready to help you tackle tasks faster, better, and more profitably. At Turf Teq, we can help make heavy duty landscaping jobs easier year-round. 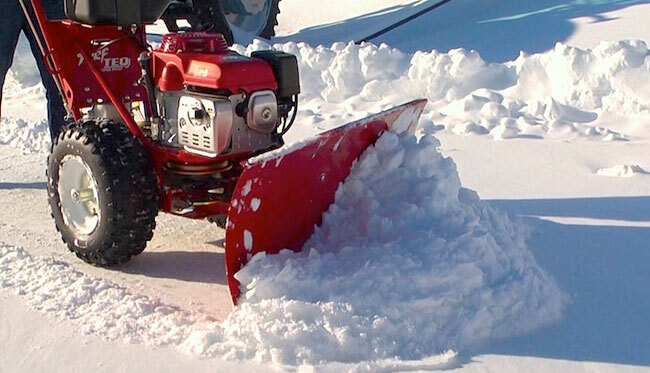 For more information on our Power Plow, or any of our innovative landscaping tools, contact us today.